Q. DOES EACH MONTH HAVE A COLOR? A. Each month does have a sort of color, but I don't really see it as one solid opaque color, it's like there's a base color according to the first letter of the month's name and then some "undertones" or like splotches of color based on the other letters. January is gray with some brown and pink, February is green, March is red with some pink, April is light pink with yellow and a little purple, May is red, June is gray with brown, July is gray and white, August is pink (darker than April) and brown, September is purple with some dark green and red, October is white with some yellow, November is brown with some dark green and red, and December is dark blue with some dark green and red. A. I am attaching pictures of them. 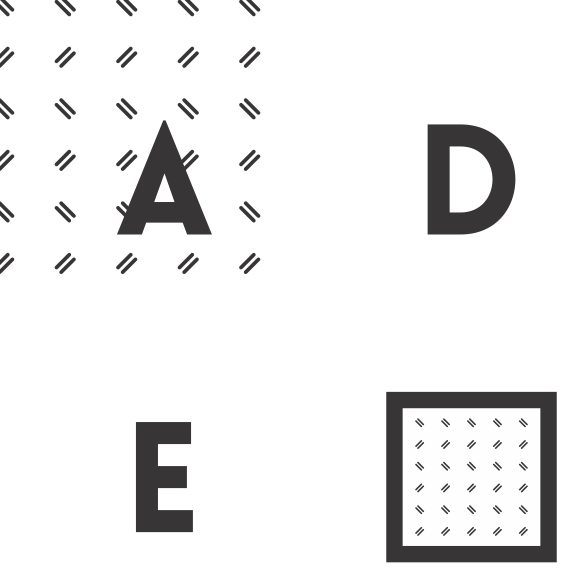 The dotted lines represent some kind of conceptual division I have between groups of letters/numbers. It's hard to say if I really "see" these lines, but there just seems to be some kind of distinct separation somehow. There might be something with depth, like the letters on one side of a division are closer to me? The background color is really hard to pinpoint, for the alphabet it's kind of a warm brown with pink and purple tones? It's the same for numbers unless I'm focusing on a specific group like 20s or 30s that have the same first digit, then the background is more like the color of that number. After 100 the numbers go in the same "shape" as they do from zero, and then repeat it again at 200, 300 etc. Hundreds and thousands also follow the same pattern, i.e. 1,000-9,000 go up in a straight line then there's a division at 10,000 and then 11,000 to the right, etc. If I'm just thinking about numbers in an abstract way then I usually see it as if I'm standing at 0, but if I'm thinking about age then I often see it as if I'm standing at 21 (my age) and looking backwards or forwards, and if I'm thinking about history I'm standing at 2014. Snippets from the 2nd Interview with Adrienne. Sneak peaks into some of the posters that will be in the thesis exhibition. Many of which were inspired by Adrienne and her answers. Posted on April 22, 2014 by Haley Fischer and filed under Senior Thesis and tagged Senior Thesis. UPDATE: I'm working on flushing out the black & white posters that will be displayed in the exhibition. First up, phone numbers, below is a detail of a comp I am working on. Over all I want to keep the posters cohesive by minimalistic style, lack of color, and other graphic pattern to use as a system for how someone views forms spatially. WHAT'S NEXT: Keep executing posters and begin constructing the frames for the exhibition. Posted on April 8, 2014 by Haley Fischer and filed under Senior Thesis and tagged Senior Thesis. I've been sketching and developing out how I can bring all of my research into reality in an interesting and engaging way. My goal is to stimulate Synesthetic experiences for those of us who don't see phone numbers as a color palette. I've decided to do this by using augmented reality. Below is an app called Aurasma which allows you to add information to what is being viewed through an ipad/iphone. My plan is to create various posters using information I've gather from interviews and blogs with people who have Synesthesia. For example, the phone number, I would design a typographic poser designed in black and white, as most of us would see the numbers, then with use of the augmented reality lens the forms will simulate a Synesthetic experience of color. Resulting in the expansion of the viewers perception of how color is viewed, used and interacted with. WHAT'S NEXT: I've downloaded the app, time to start experimenting with it's features and limitations. Also, keep designing the posters. Posted on April 3, 2014 by Haley Fischer and filed under Senior Thesis and tagged Senior Thesis. There comes a time when you have research coming out your nose. You have to take all you have learned and discover how it can be brought to life as a visual experience. Okay maybe I spoke too soon, what did I do next? Research. Exhibition styles, execution styles and gallery limitations. It helped me visualize my idea 3 dimensionally, brainstorm interactive possibilities and plan realistically the end result. NEXT STEP: Sketch poster series & design design design. Also finished up Interview series two with my mentor. Posted on March 27, 2014 by Haley Fischer and filed under Senior Thesis and tagged Senior Thesis. Q1: DO YOU HAVE SYNESTHESIA? Q2: DESCRIBE YOUR PERSONAL EXPERIENCE WITH COLOR? I associate every letter and number with a color, which I think is called color-grapheme synesthesia. They all have very specific shades. When I read a word it's kind of like the letters take on their colors in my head, although I can still see what color they're actually written in. I also see the colors in my head when I hear, say, or think a word, but unless I'm actively trying to picture the word I kind of just see the colors, not the shape of the letters. An example of color-grapheme synesthesia. NOTE: This isn't Adrienne's alphabet. I also have another kind of synesthesia where I visualize concepts spatially - like the year is a circle, numbers and the alphabet have their own specific layouts etc. In these visualizations the months are usually the same color as the first letter in their name. That section of the year circle is red even if I'm not thinking about the word 'march'. I'm always trying to figure out what the background color is in these visualizations. It's some kind of pink/purple/brown but I can never see it clearly enough, and I think maybe it changes. Q3: WHEN DID YOU REALIZE YOUR SYNESTHESIA? When I was 12 I read a book called "A Mango Shaped Space" about a girl with synesthesia, and I was like "Oh, I have that!" It's not so much that I thought everyone had it, but I didn't realize there was a name for it or that there were other people who had it. I thought it was just a weird thing about me. 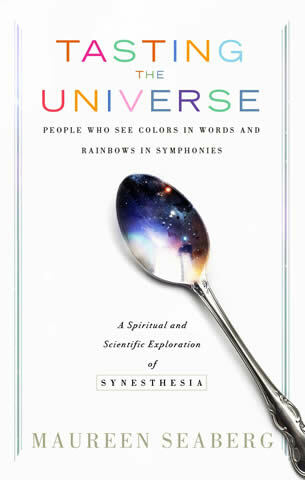 Q4: DO YOU KNOW OTHERS WHO ALSO HAVE SYNESTHESIA? I think my dad has it but he doesn't seem to feel his associations as strongly as I do, and he says that most of his colors are neutrals like gray or beige. I study languages so it's interesting to see what colors I associate with new letters I learn. When I studied Russian most of the letters were just the same color as their Latin alphabet equivalents, like Г makes a G sound so it's gray like G. The Cyrillic letter P is yellow like the Latin P even though it actually makes an R sound. The letter Ш (sh) is kind of a grainy grayish-purple because it's a combination of S, which is purple, and H, which is gray. I've started studying Chinese a bit now and that's really interesting, some of the characters take on the color of the first letter of their pinyin (the system of writing the pronunciation of Chinese words with Latin letters), like 子 is written zi3 in pinyin so it has the same color as the letter Z.
I actually find that synesthesia really helps me remember things, like words in foreign languages, people's names, phone numbers etc. Even if I can't remember it exactly I might remember it was red, or even just that it had a warm color scheme, and piece it together from there. 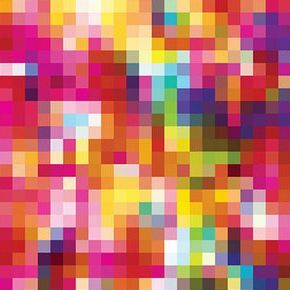 In addition to its practical purposes I also just think synesthesia makes everything a little more beautiful since it gives everything color. There are certain combinations of letters/numbers that I'm drawn to for their colors. I particularly like brown, purple, and green letters/numbers together, even though I don't usually think those colors go together very well. Posted on March 11, 2014 by Haley Fischer and filed under Senior Thesis and tagged Senior Thesis. And hopefully it will start to spark how this can result in a visual experience for my thesis. Posted on March 4, 2014 by Haley Fischer and filed under Senior Thesis and tagged thesis resources books research. Don't believe me? Watch him yourself. WHAT'S NEXT: Interview with Adrienne. A young woman with Synesthesia. I'd like to better understand her experience with color, and how it is effected from font to font, or if the type is already a color what happens then. I'd then like to ask her if there are any type of designed resources she wished existed for her or for others. Posted on February 27, 2014 by Haley Fischer and filed under Senior Thesis and tagged thesis color TED TALK. And I was dumbfounded. So I thought, “Well.” At that time in my life I was having trouble deciding whether the number two was green and the number six blue, or just the other way around. And I said to my father, “Is the number two green?” and he said, “Yes, definitely. It’s green.” And then he took a long look at my mother and my brother and became very quiet. WHAT'S NEXT: Research other unique ways people experience color. Say color isn't intangible, but if a person could feel the color orange, or listen to it, taste it. Also, what things have been designed as either a source to people with these unique experiences, or maybe for the regular ole' joes that don't get to see the alphabet as a rainbow; what things could be designed to give them a similar stimulant. 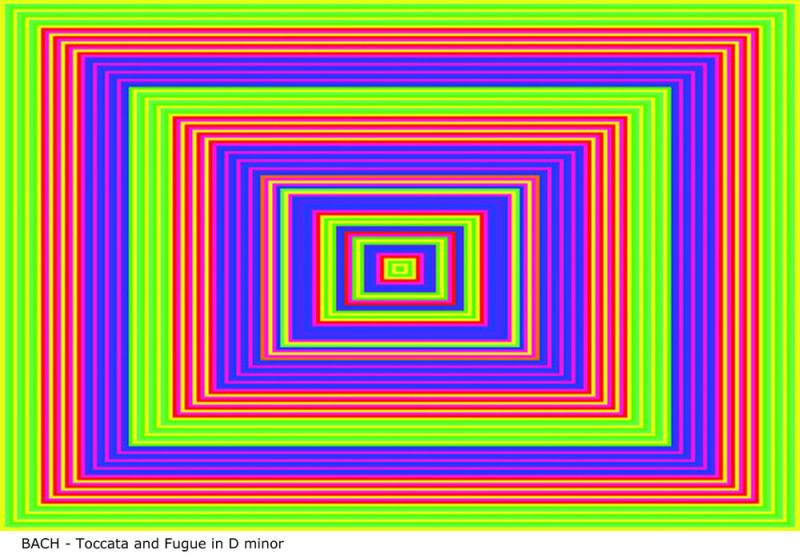 Posted on February 20, 2014 by Haley Fischer and filed under Senior Thesis and tagged Thesis Color Synesthesia Visual. As I've gotten further and further into my research into the wide umbrella of the psychology of color there seems to be various avenues in which this project could be taken. What colors give a person anxiety. serenity, or anger. How does this fluctuate from person to person? 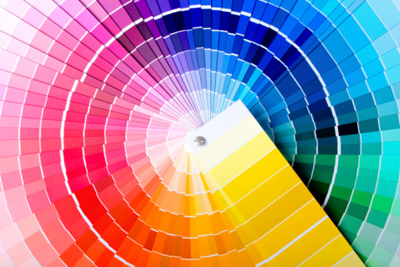 How can a single color, depending on the hue, go from being a joyous color to an anxious one. A visual tone that is intangible could change a person's decision in an instant; what is safe and what isn't safe, what is culturally acceptable for specific genders, what to eat, which business we trust more with our money or our health. The list goes on and on. It's amazing the amount of things that trigger choices each of us make, maybe without even knowing it. The understanding that each person has a different spectrum. And what I see might not be exactly the same blue or tree or sky that another person sees. This is most obvious in cases of color blindness or synesthesia. Most of us tend to assume, or not even consider, the fact that we don't all see the world the same. A website might say Red means fear or passion, but I believe a person's history effects how they perceive color. Hell, maybe their Granny had red curtains growing up so they associate red as a nurturing color. Simply put, it's all objective. SYNESTHESIA: A condition in which one type of stimulation evokes the sensation of another, as when the hearing of a sound produces the visualization of a color. Someone could hear the color purple / see a letter or shape as a color. Mingling of the senses. FASCINATING RIGHT! NEXT STEPS: Interview people with Synesthesia. Posted on February 13, 2014 by Haley Fischer and filed under Senior Thesis and tagged Thesis Color Research. People will actually gamble more and make riskier bets when seated under a red light as opposed to a blue light. That's why Las Vegas is the city of red neon. Don't paint a baby's room yellow they are more prone to crying. Teachers don't grade papers with red pens because it's too aggressive. We've all encountered these type of color perceptions. Color in its raw form is extremely primal, but is actually something very complex. For my thesis I'd like to explore the variations in the perception of colors, and find a way to make an interactive experience for my thesis audience. RED: Primal, a signal to re-act, to fight, or to flee. Danger. RED: Cultural, an emotional symbol that reflects aggressive/passionate behavior. Love. How can one color mean so many different, conflicting things? PURPLE: Culturally has been known to be associated with the gay community, but is also the most holy of colors in the Catholic church during lent. So, What's Next? I am going to continue to research each avenue of this. Then narrow it down to which area I'd like to focus visually on. Posted on February 4, 2014 by Haley Fischer and filed under Senior Thesis and tagged Thesis Senior Color Psychology Process.